Jeez. This would have been posted a long time ago if not for the back to back to back life events that happened in the family. But look- here we are, a new year with a new post. Again, a disclaimer – Sugoistuff is not affiliated with any of the places or brands featured in this post. We did not receive any fee, perks, or payment in any form. We bought all the groceries ourselves with our own money. That said, one thing we love about California is that tons of Asians live here. 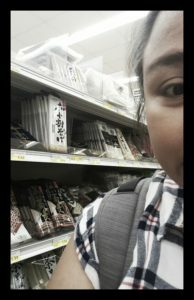 There is always an Asian food market close by. The husband loves chickin karaage (deep fried chicken pieces) so much that I have learned to cook it, albeit using a packaged batter in powder form. And from where do we buy said batter? 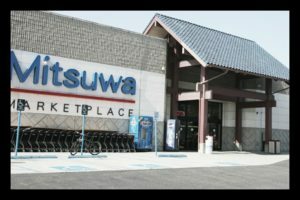 From a Japanese grocery of course, and the nearest big one we have is Mitsuwa Marketplace. I love this place so much not only for the groceries and goods you can buy here, but also for the nostalgia it brings me. It really looks and smells like the groceries in Japan. The store that we go to has a bakery, a Kinokuniya bookstore, kiosks that sell traditional Japanese sweets, tea, cosmetics, traditional Japanese goods, J-pop and anime items, and CDs and DVDs, and there is even a travel agency. 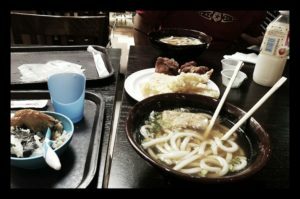 We love having tempura udon at the food court after doing our grocery shopping. Sometimes, the husband has a curry set instead. For dessert, there is a green tea soft serve stand nearby. 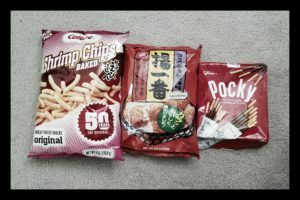 The husband loves the small rice crackers snacks and Calbee shrimp chips. Don’t forget the Pocky sticks! Personally, I get the different senbei (circular rice crackers). And here’s our loot! 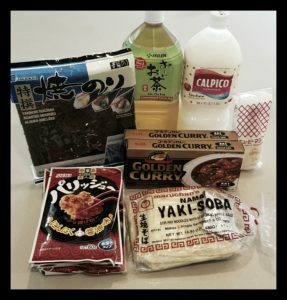 Japanese unsweetened green tea, Calpis (lychee flavor), nori (dried roasted seaweed), karaage seasoning mixes, curry roux boxes, mayonnaise, and yakisoba! Guess what we had for dinner that night.